A brief history of Balsall Parish Council can be found on the link below. 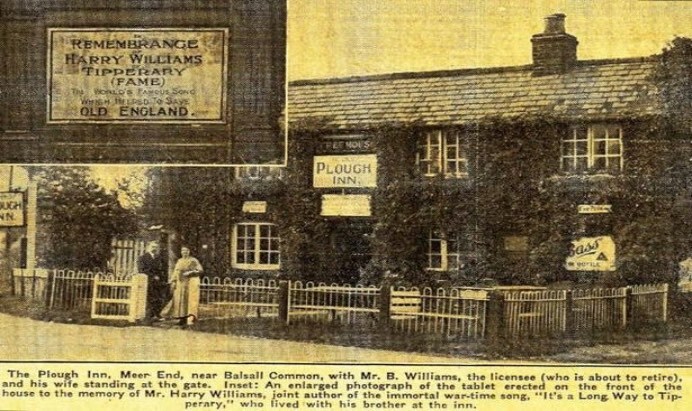 The picture above shows what is now The Tipperary and the plaque in memorial to Harry Williams co-author of “It’s a long way to Tipperary”. If anyone would like to send us any history of Balsall Common and any old photos we would be happy to include it here.